Publications - ​Vivekananda Vidyapith Inc.
Sapling is a quarterly magazine which reflects Vidyapith's curriculum. It is a product of our students' literary creativity. It contains inspiring biographies, teachings of great personalities, analytical essays, music lessons, puzzles, stories and more. All current Vidyapith students receive Sapling as part of their enrollment. 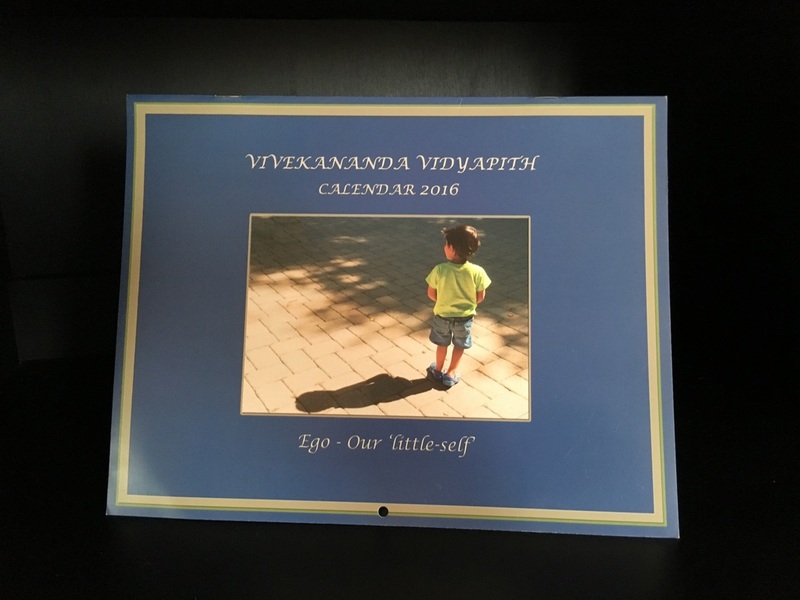 For un-enrolled families to subscribe, please write to us at VidyapithBookstore@gmail.com. 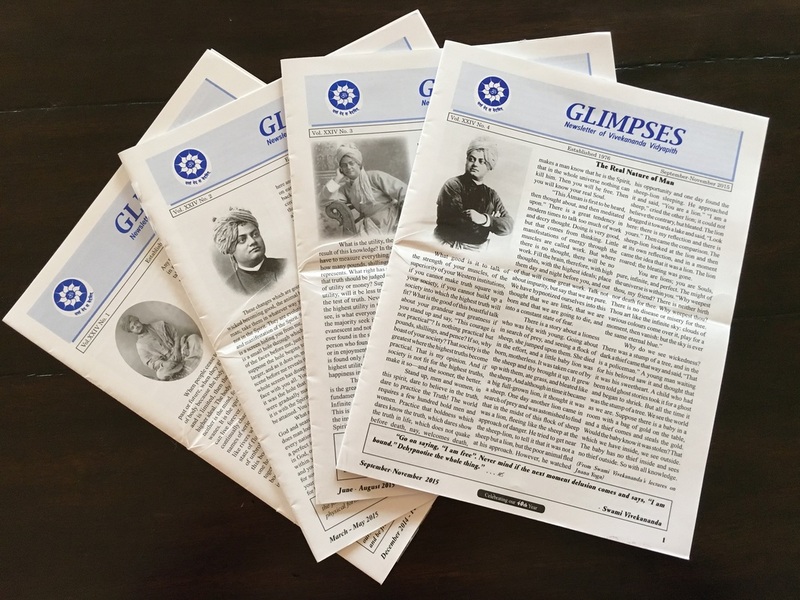 Glimpses is Vidyapith’s quarterly newsletter, featuring detailed reports of Vidyapith’s activities, as well as inspiring teachings and lectures. To receive Glimpses, please write to us at VidyapithMail@gmail.com. This text contains shlokas and hymns that are sung during Vidyapith's prayer time, and that are studied in classes. Prayers are written in Sanskrit, with English transliteration and translation. Music class is very popular in the Vidyapith. We encourage students to play harmonium as a supportive instrument to sing prayer, chanting, hymns, dhoons and bhajans. This book contains lessons to learn harmonium and also notations of several popular dhoons, bhajans and hymns. Hundreds of students have learned music from this book and several are learning this semester. This is an excellent book to study Chapter 15 of the Bhagavad Gita. This chapter is considered an important one in the Gita. It has several essential ideas of the Vedanta. The Vidyapith logo is a line of the first shloka of this chapter. The meaning of the shlokas has been explained in simple language and does not require any prior reading. The book contains Sanskrit text, translitation, word-to-word meaning and explanation of each shloka in English.